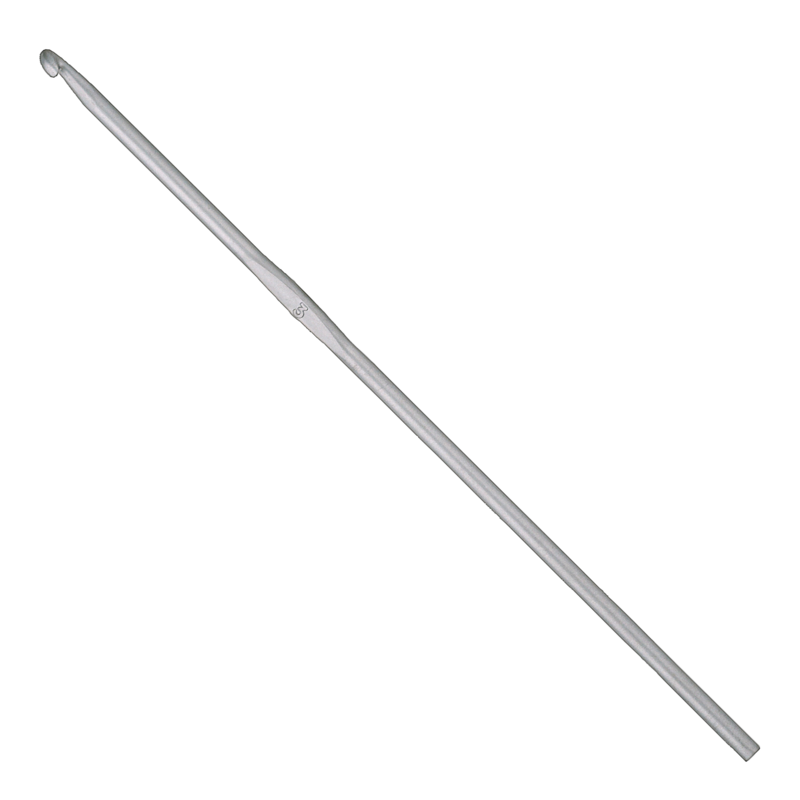 The classic style of crochet hook, smooth pearl grey aluminium with a perfect hook. Available in all sizes from 2mm to 6mm. The range has been extended, sizes 6, 8, 10 and 12mm are now available with a gold anodised surface. These are particularly attractive - more like a piece of jewellery than a handicraft tool!